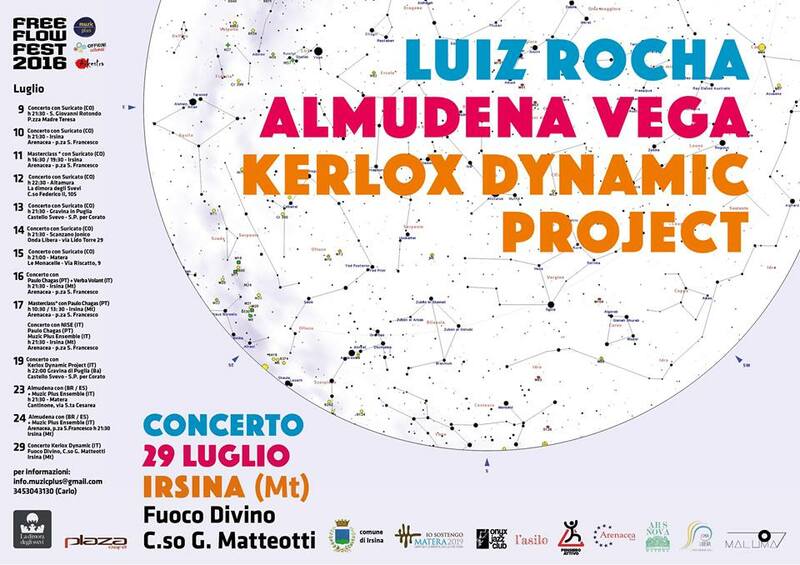 This is July’s last concert in Puglia, Italy (hope to come back soon) joining forces with Carlo Mascolo’s Kerlox Dynamic Project. 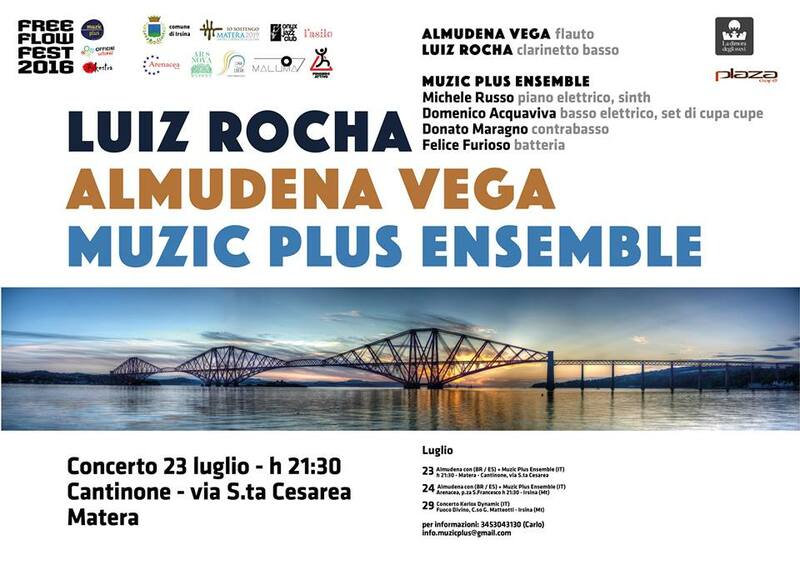 Back again to south Italy, now playing as a duo with Almudena Vega. 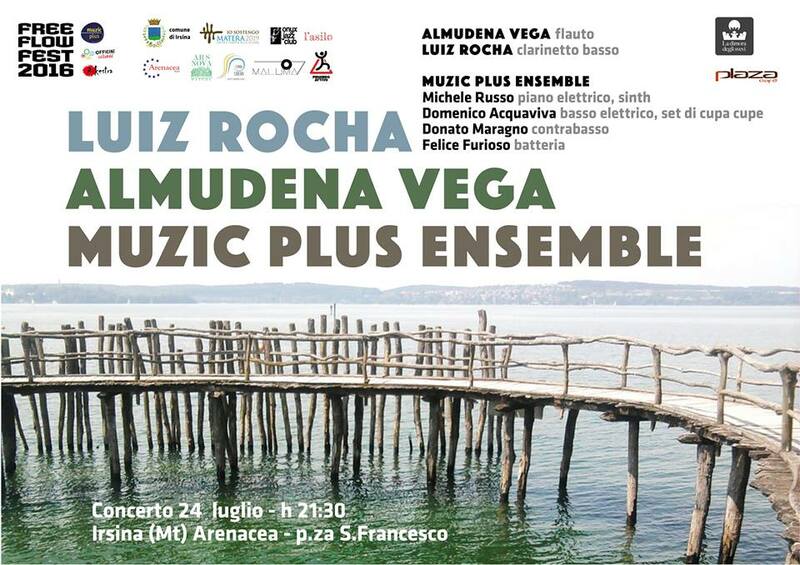 We’re performing at the Free Flow Festival, organized by Carlo Mascolo, lined up with the Muzic Plus Ensemble. 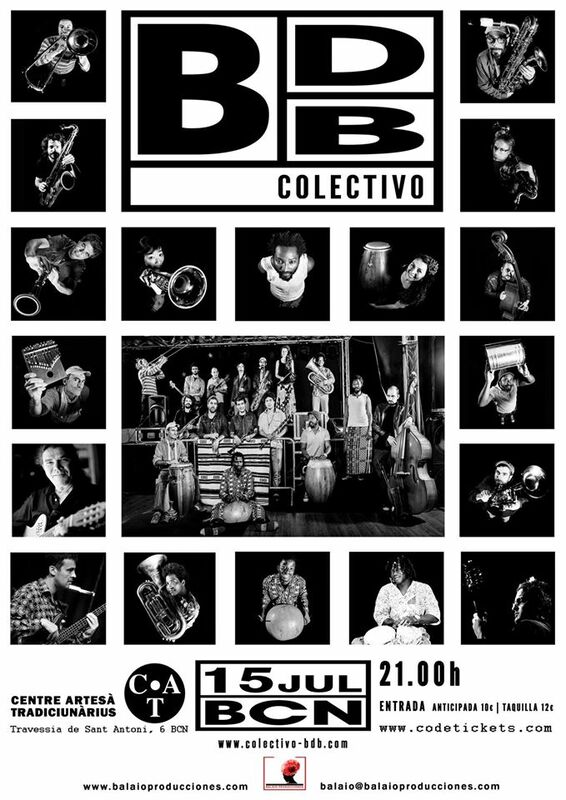 Colectivo BDB strikes again the 15th of July at CAT – Centre Artesà Tradicionàrius, Barcelona. It took a while to, once again, gather the group, but here we are, willing to play. And for those willing to dance, this is a must go concert. A big orchestra, a great crew and lots of energy under the direction of Mû Mbana. Afrobeat at its best. Alê Ortega, Guillem Aguilar Nolis, Paulinho Lêmos, Lluís Boronat Casanova, Martin Horne, Natsuko Sugao, Robson Rodrigues Bonfim, Baba Maiga, Mû Mbana, Sol Homar, Karafa Diatta Diatta, Juan Pablo Balcazar, Àlvar Monfort, Luiz Rocha, Júlio Marques Adoglio, Crá Rosa, Diego Lopez Collia.